The invention of the internal combustion engine during the 19th century played a vital role in the history of helicopter development. In this era, the steam engine was the most important engine type. This machine uses a heat source to warm water to produce steam. The generated steam pressure is then used to drive a piston in a cylinder from which linear motion can be converted into a rotation with the use of a crankshaft. The steam engine had undergone a lot of improvements over the decades, but nevertheless had a very poor power to weight ratio. In fact, it wasn’t able to power any aircraft successfully. Everything was about to change with the development of the internal combustion engine, which proved to be much more efficient. In this machine, the combustion takes place inside the cylinder that drives the piston. Many see the creation of the two-stroke combustion engine by Etienne Lenoir in 1859 as the starting point. 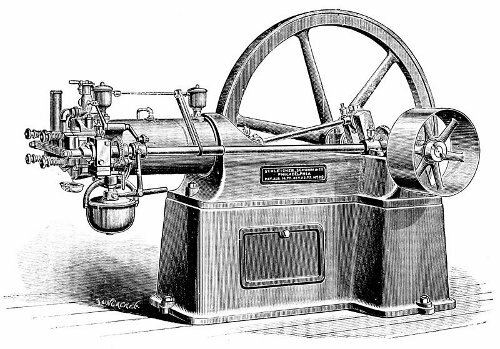 Lenoir's machine used a mixture of gas and air which was ignited by a spark generated by an induction coil. All of these essential ingredients laid the foundations for the modern piston engine (as the internal combustion engine is often called) that we know today. 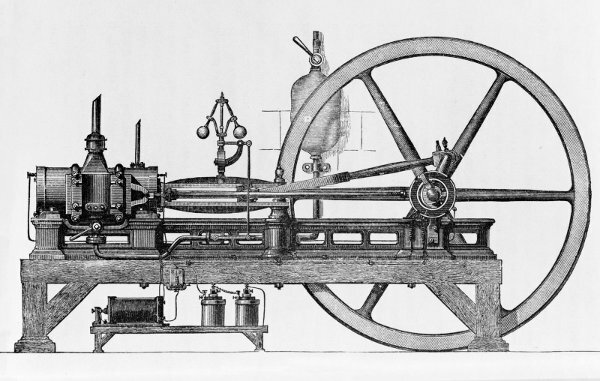 The gas and air mixture in Lenoir's machine was not compressed and therefore the engine suffered from a lack of power. In 1876, Nikolaus Otto produced an internal combustion engine that compressed the gas and air mixture in the cylinder prior to ignition in a so-called four cycle engine. Compressing the mixture improves the output power because more fuel and air can feed into the cylinder. This proved to be a very successful concept, which is still in use today. In the 1900s, the internal combustion engine reached a maturity level that made it suitable for powering aircraft. Between 1900 and 1920, many helicopter prototypes were powered by piston engines. All of these machines could only make several hops (the hoppers). 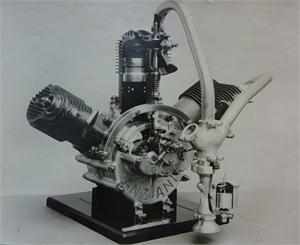 One of the reasons for this was the use of underpowered piston engines like the V8 Antoinette (used by Paul Cornu and the Brequet brothers) or an Anzani engine (for example, a 25hp model used by Sikorsky in the S1/S2 models). Another reason was the very unstable flight characteristics and poor aerodynamic performance of the rotor blades used. Both problems were solved during the 1930s and 1940s: piston engines that were light and powerful enough were available, and stability problems were gradually understood and corrected. 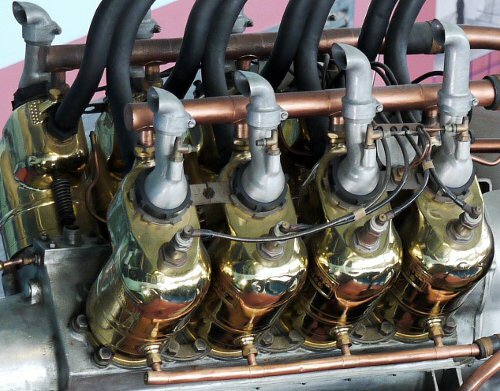 Until the 1920s, most piston engines used some sort of water cooling system. However, this added too much weight to the engine for it to be used successfully in aircraft. As a consequence, a new generation of air cooled engines took over. During the 1910s, so-called rotary engines, where the pistons are placed radially and rotate themselves, were popular. However, in the end, due to the power limitations of this design, it was unable to compete with the air cooled system using static cylinders. These days, most aircraft and helicopter engines are air-cooled; they use a fan to produce the cooling air that is ducted to the pistons. The piston engines used in airplanes and helicopters differ from those used in cars. There are also some important variations between the engines used in airplanes and helicopters. 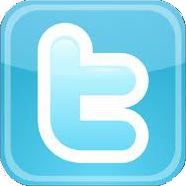 In the next section, an overview of the key differences is provided. In airplane engines, the ignition system is based on two identical, but mechanically and electrically independent ignition systems. This makes the system much more reliable than the ones used in cars. 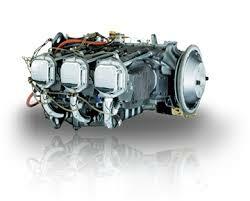 To maintain adequate engine power at higher altitudes, turbo charged piston engines are sometimes used. This type of engine is able to maintain manifold pressure at high altitudes (low density altitudes) by using exhaust gas that powers a compressor that compresses ambient air and feeds it (while being mixed with fuel) into the engine's combustion chamber. Turbo charged engines are also used in cars. However, the goal in road vehicles is to produce more power instead of compensating for a high altitude problem. In helicopters, the orientation in which the engine is placed is often vertical instead of horizontal. This has an impact on how the lubrication system is constructed. Helicopters are operated at high power settings (e.g. during a hover), which means that the engine must be designed to generate high levels of power for a long period of time. The rotor system is operated at a constant and controlled RPM, so the engine will also run at a constant RPM. There is no need for the engine to cover a broad RPM range. The throttle is operated by a device called a correlator, which sets the throttle according to the collective lever position. A twist grip is used for final adjustments to compensate for atmospheric conditions. Another solution is the use of a governor that takes care of all of the power settings of the engine.